Anyone who has ever tried to lose weight is probably aware of Body Mass Index (BMI,) a typical tool used to gauge whether a person is overweight, based on height and weight. Here’s a pretty little chart to give you some idea of what I mean. Height and weight are plugged into the formula to give a BMI number, and then your number falls into general categories. As you may imagine, however, this simplistic equation does not factor in either lean body mass, like muscle, which is heavier than fat, nor does it account for excess belly fat, so your results may not be 100% accurate. If you are healthy and comfortable with your body, don’t let these numbers get you down! Where you to go to a gym and avail yourself of assistance from a personal trainer, they could give you a more accurate idea of whether or not your weight is healthy and right for your frame. They do this largely by taking measurements of your body (and likely a “pinch test”) and plugging them into another formula, thus taking in to account not only your weight, but it’s general distribution on you body. Yesterday, I got curious and looked for a more detailed BMI calculator online. This is what I found, and what it looked like when I plugged in my numbers. *Bear in mind it does not allow for half-inches or fractions of inches. If you’d like to plug your numbers in, click here. Okay, now… according to this, I am slightly overweight (I agree,) and I am “apple shaped” (disagree.) My ideal weight is approximately 125-130, which seems to almost correspond with this chart. But this chart does not account for the loads of muscle I have. I’ve always had a sort of athletic build, like a gymnast (fitting, since I used to engage in gymnastics, horseback riding, and then martial arts.) I have muscular thighs and…eh hem…a well developed gluteus. So I’m putting it out there for you all (and myself.) This is what “overweight” looks like. But I’m going to keep at it. If nothing else, I love how strong I feel lately. Even my volleyball serve has improved! And here, gentle readers, is where I’ll be posting the pics when I’m finally bikini ready once again. 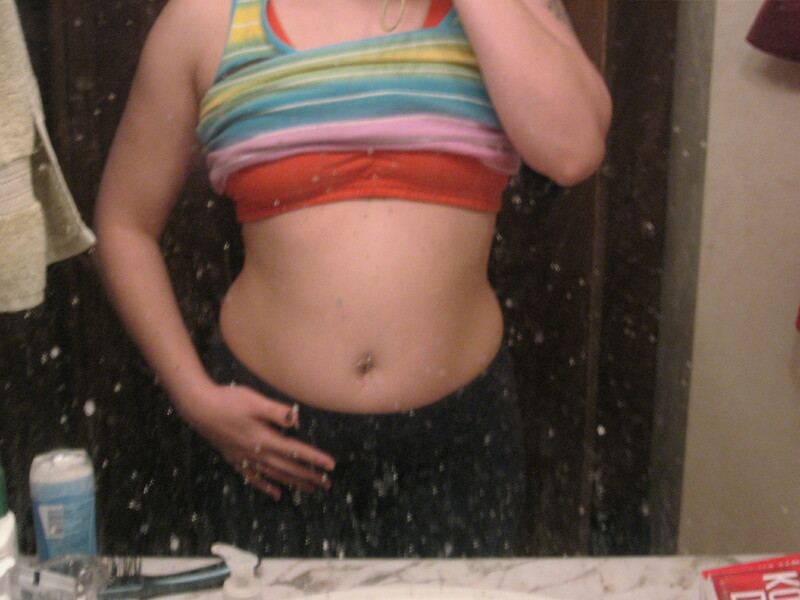 Besides, I have a horror convention to go to in July, and I plan on Cosplaying, so I need to be fit! Even if you are happy with your weight, you can never be too strong or too healthy, so join me and let’s support one another. Join me if you dare! And, if you are already struggling with weight or are interested in fitness and body image, here are the links I promised. Below are some other articles about BMI. This entry was posted in JustBlog Entries and tagged BMI, bmi calculator, body image, body mass index, body mass index bmi, exercise, fitness, Health, healthy weight, healthy-living, HIIT, Jillian Michaels, lean body mass, lean muscle, My Little Pony, Personal trainer, public perceptions, Shred, weight, Weight loss, weight loss efforts, workout, workout videos, YouTube. Bookmark the permalink. Girl, I wish I had your body! YOU DON’T LOOK LIKE AN APPLE! Spot on about BMI. It’s a ridiculous tool. And what’s sad is that BMI is usually what is referenced when you hear all the statistics about how “overweight” Americans are. Hahaha true indeed. Although I still think the number are, for lack of a better word, inflated.